Diet and exercise remain the most recommended interventions to reduce pain, increase functionality, and potentially decrease progression of OA. Weight loss in patients who are overweight or obese may improve symptoms through pathologic mechanisms in addition to reduction of joint burden. A 2018 review by Thomas and colleagues1 reported on an associated between OA and elevated serum cholesterol, as well as potential links to metabolic syndrome and type 2 diabetes, which suggests a shared role of inflammatory mechanisms. At the same time, investigators from the Netherlands observed that fat percentage, body fat mass, and waist-to-hip ratio were associated with OA of the hand, which is clearly unrelated to joint burden.9 Weight loss causes a reduction of adipose fat tissue and recovery of the normal balance of cytokine secretions, which in turn reduces expression of OA. “In general, the more weight loss an obese patient with osteoarthritis can lose, the better the patient feels. Studies have shown obese patients with OA who lost 5% of body weight had only some relief,” Dr Nguyen observed. He noted that although the National Institutes of Health (NIH) recommended a goal of 10% weight loss in obese individuals to provide significant reduction in pain, the most recent NIH study found that patients who lost 20% of their body weight reported less pain and improved ability to walk further. 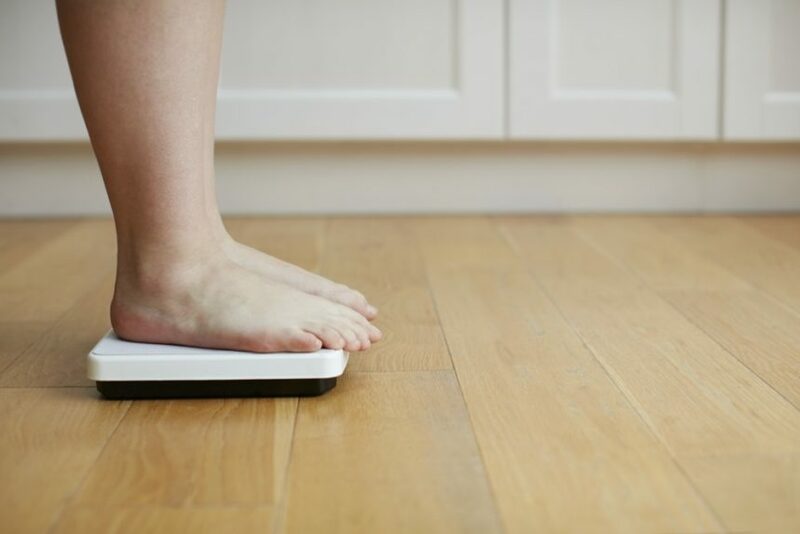 Recommendations for weight loss in patients with OA do not specify types of diets, leaving practitioners to follow their own best practices. Dr Nguyen encourages calorie restriction and increased exercise for obese patients with OA. “There is no diet that the American College of Rheumatology endorses for OA, since there is very little scientific data to support any particular diet,” he said, although he noted the Mediterranean diet may help reduce pain associated with OA. Evidence from a 2017 study by Veronese et al10 showed that higher adherence to the Mediterranean diet among people from the Osteoarthritis Initiative, a collective of 4358 community-dwelling participants, was associated with a lower prevalence of OA, after adjusting for covariates. At the same time, high adherence to the diet corresponded to the lowest levels of BMI and comorbid conditions among the cohort, as well as higher education and income levels. The authors speculated that the Mediterranean diet may be protective against knee OA through anti-inflammatory mechanisms, reductions of oxidative stress markers, and possibly rebuilding of the extracellular matrix that is frequently damaged in patients with OA.10 “Other diets have not been evaluated in a rigorous scientific method, so the benefits of reducing inflammation by diet is unclear at this time,” Dr Nguyen pointed out. Thomas S, Browne H, Mobasheri A, Rayman MP. What is the evidence for a role for diet and nutrition in osteoarthritis? Rheumatology (Oxford). 2018;57(suppl_4):iv61-iv74. World Health Organization. Priority diseases and reason for inclusion. http://www.who.int/medicines/areas/priority_medicines/Ch6_12Osteo.pdf. Accessed September 24, 2018. Chu IJH, Lim AYT, Ng CLW. Effects of meaningful weight loss beyond symptomatic relief in adults with knee osteoarthritis and obesity: a systematic review and meta-analysis. Obes Rev. 2018;19(11):1597-1607. Chu CR, Millis MB, Olson SA. Osteoarthritis: from palliation to prevention: AOA Critical Issues. J Bone Joint Surg Am. 2014;96:e130. Fernandes L, Hagen KB, Bijlsma JW et al. EULAR recommendations for the non-pharmacological core management of hip and knee osteoarthritis. Ann Rheum Dis. 2013;72(7):1125-1135. McAlindon TE, Bannuru RR, Sullivan MC et al. OARSI guidelines for the non-surgical management of knee osteoarthritis. Osteoarthritis Cartilage. 2014;22:363-388. Christensen R, Bartels EM, Astrup A, Bliddal H. Effect of weight reduction in obese patients diagnosed with knee osteoarthritis: a systematic review and meta-analysis. Ann Rheum Dis. 2007;66:433-439. Riddle DL, Stratford PW. Body weight changes and corresponding changes in pain and function in persons with symptomatic knee osteoarthritis: a cohort study. Arthritis Care Res (Hoboken) 2013;65:15-22. Visser AW, Ioan-Facsinay A, de Mutsert R, et al. Adiposity and hand osteoarthritis: the Netherlands Epidemiology of Obesity study. Arthritis Res Ther 2014;16:R19. Veronese N, Stubbs B, Noale M, et al. Adherence to a Mediterranean diet is associated with lower prevalence of osteoarthritis: Data from the osteoarthritis initiative. Clin Nutr 2017;36:1609-1614.